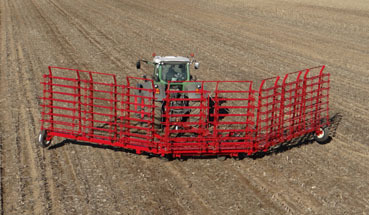 McFarlane’s 16 Bar Spike Tooth Forward-Fold Harrow gives you double coverage. With 2 -to- 3 times the normal number of bars and spikes, McFarlane’s 16-Bar Forward-Fold completely breaks and stirs the soil to save you time. 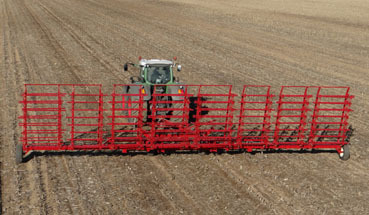 Some farmers are able use this harrow for spring field preparation. 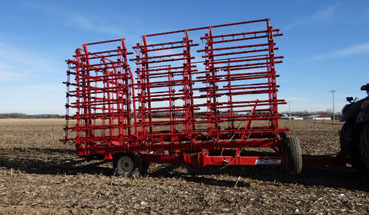 Buy yours new or used McFarlane Harrow at Valley Implement. We have the all the parts and and a great service department to keep you working! Learn more.